May 19 marks the date that the Franklin Expedition set sail on an Arctic venture from England, in 1845, never to return. Now, over a century and a half later, we eagerly anticipate the arrival of an exhibition on this ill-fated voyage. We have been developing the exhibition since 2014, in partnership with Parks Canada and the National Maritime Museum in England, and in collaboration with the Government of Nunavut and the Inuit Heritage Trust. 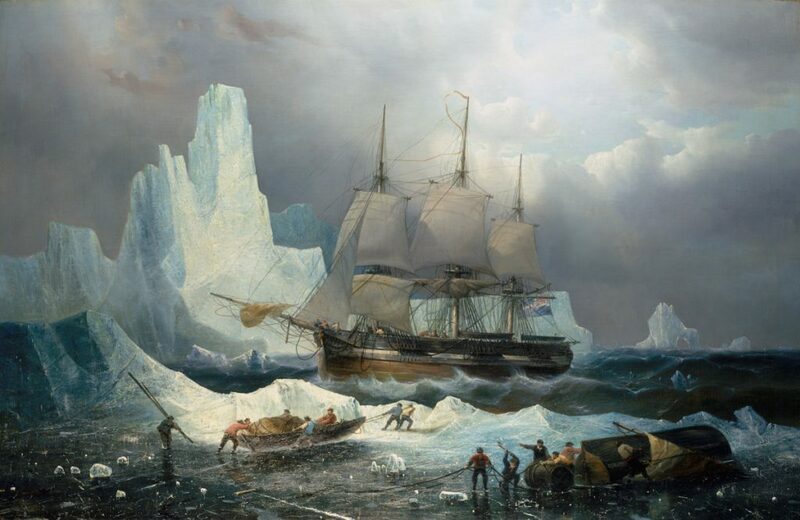 The story of the Franklin Expedition is complex. It contains many chapters, perspectives and mysteries. It also belongs to more than one nation. It is a British story because the ships and crew members were British, but it is also central to Canada’s identity as a northern nation. The story also belongs to Inuit people, who have preserved it in their oral histories for generations. Above all, it is a story with universal appeal, about an astonishing struggle for survival. Following a run in the United Kingdom that begins in July 2017, at the National Maritime Museum, the Franklin Expedition exhibition will cross the Atlantic to open at the Museum of History in March 2018. Stay tuned for more posts on the exhibition and the mystery of the tragic expedition.